“The Langley School District is honoured to operate on the unceded traditional territories of the Katzie, Kwantlen, Semiahmoo and Matsqui First Nations.” This is a statement that kids across the district have become familiar with. 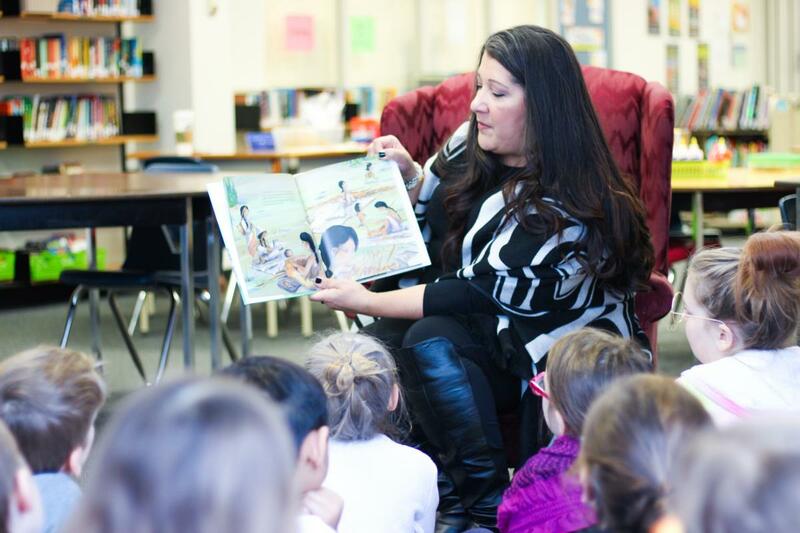 However, at Wix-Brown Elementary, Aboriginal Support worker Deanna Miller shared that statement in hən̓q̓əmin̓əm̓, a language spoken by local First Nations communities. She then went on to describe why we make this acknowledgement, addressing just how long her peoples have been on this land. 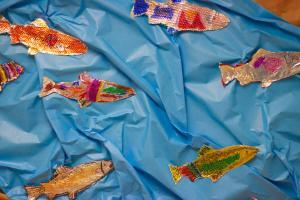 This led into the discussion about the First Salmon Ceremony celebrated by First Nations communities. 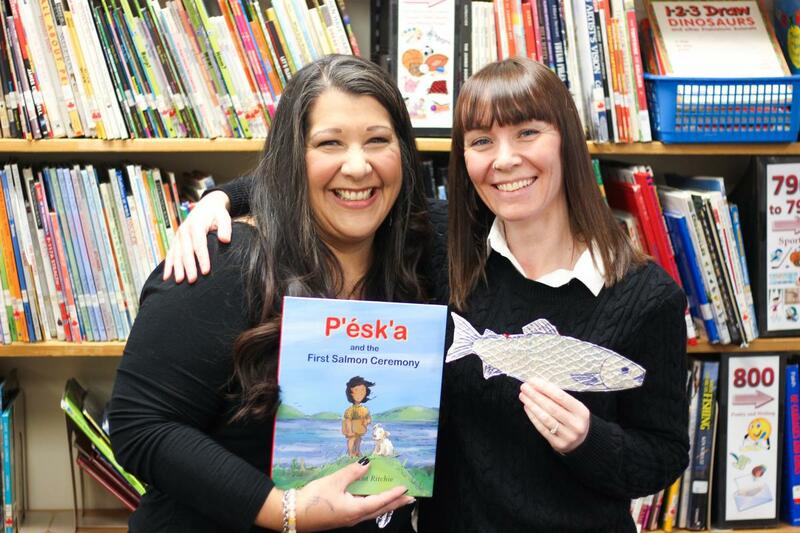 Deanna read the story, P’ésk’a and the First Salmon Ceremony by Scot Ritchie, which explained the importance of the ceremony. 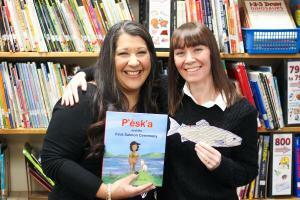 “[P’ésk’a’s] community, the Sts’ailes people, give thanks to the river and the salmon, by commemorating the first salmon of the season”, the book’s synopsis describes. The book also contained several hən̓q̓əmin̓əm̓ words. 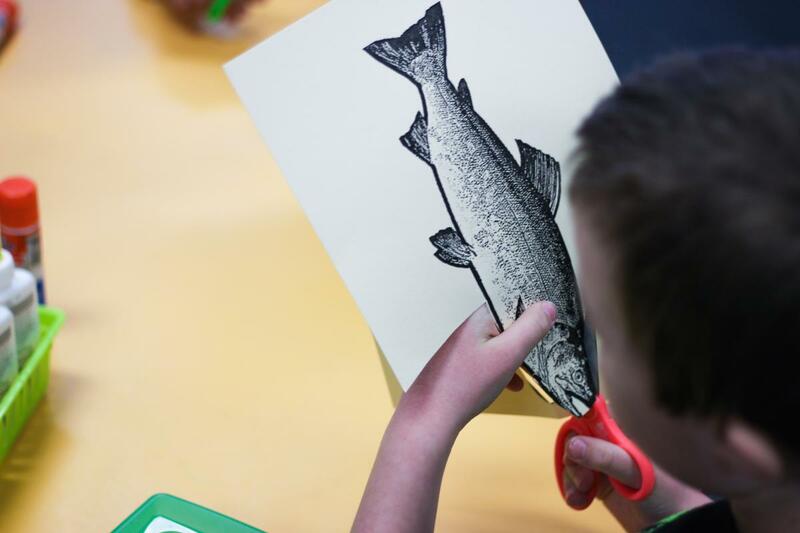 The kids then were given the task of constructing their own salmon! 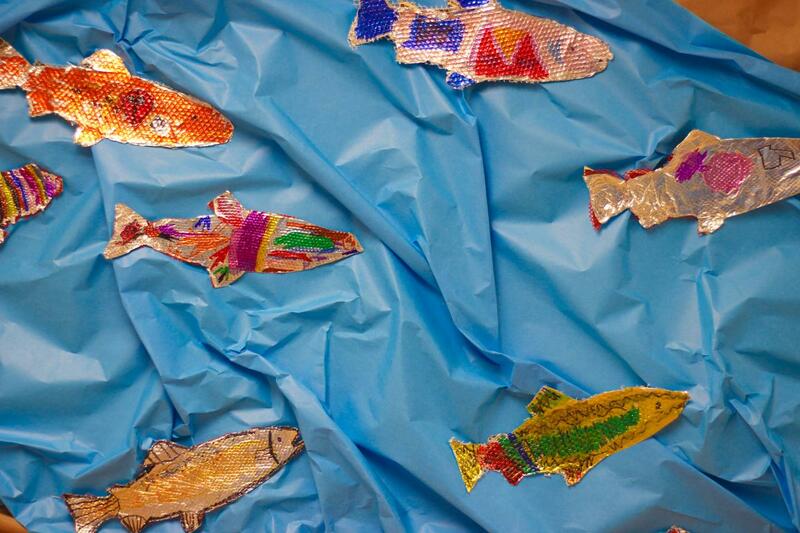 With paper, mesh, and tinfoil, the kids cut out and decorated their own salmon to be displayed along a river in their hallway.